How Do You Stay Sane in A Tough Indiana Divorce? It has been said many times that divorce takes an emotional toll. Very few divorcees are happy about the process. It hits people’s egos, they reflect on times when they were happier and things seemed better and they think about how different life will be moving forward. Many people consider themselves to be failures.Our Indiana divorce lawyers strive to ensure that your experience isn’t as painful and frustrating as it could be. No divorce is going to be painless because it is a tough experience. But the amount of frustration and sadness can be limited. For those considering an Indiana divorce, there are steps that can be taken to minimize how brutal the divorce process is. That depends on the couple. Contested divorces — situations that require litigation from both sides and possibly a trial — tend to be the most high-stress situations. When spouses are at each other’s throats and are jockeying for position on every asset they have, the process can be difficult to bear. When communication is better and there is a realization that a divorce may work out for the better, a collaborative divorce may be in the works. Whatever the situation, our law firm is dedicated to helping our clients. Our Indiana divorce lawyers recognize that there are implications of divorce beyond who gets the house and who gets the family dog. We are prepared to help you prepare for the future. Recognize that you are further along emotionally: The person who has filed for divorce usually has spent a lot of time thinking about it. It’s possible their spouse has considered times are rocky, but may not have thought divorce is a good idea. Give them time to process this. Rejection is always negative: While married, the spouses may have discussed how things weren’t working well, but spouses usually believe things can be worked out. The initial announcement usually will be taken with shock. Consider what life will look like: Thinking that life will be the same minus your spouse is naive. Property will be divided, children’s needs will be split and you will have to deal with the loss of friends, explaining to family members and other tasks. Prepare for conflicting emotions: This is a huge transitional period and you will likely have feelings of loss. Allow children at least a year of adjustment: You don’t know how they’ll react and introducing a new partner too quickly can be painful for the children. Your spouse has had time to react: You may wonder how they’re better off that you are. Time will heal the wounds. Men and women divorce differently: Many men are bottom-line focused and less emotionally attached than women. While women look at the settlement as an indication of worth, men look at the dollars and cents. Focus on yourself and try not to think about your spouse: Don’t compare who is happier, or who the spouse may be dating. Focus on your children, how to help get you through this time and gain independence. Remember your children need you: Even if you’re in a bad spot, they need a parent to be there for them. Tell them the future will be better. Avoid saying bad things about your ex: Children can have long-lasting bad feelings about one parent if the other speaks ill of them. 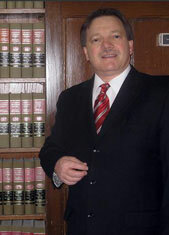 Highland Divorce Attorney Burton A. Padove offers free and confidential appointments on family law matters throughout Northwest Indiana, including Munster, Lansing, Porter and Crown Point. Call 219-836-2200.